The Lynx company was formed in 1968 by an architect and an engineer, Roger Ludgate and Guy Black. They became renowned for their repair, maintenance and preparation of racing and sports cars. 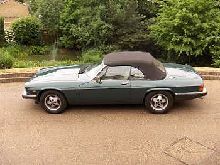 Part of this work involved C-type and D-type Jaguars and by 1974, they had decided to produce their own alternative. So, at that years London Racing Car Show, they launched the now famous Lynx D-type. Construction methods mirrored those used on the original cars and Jaguar mechanicals were employed throughout each hand built car. 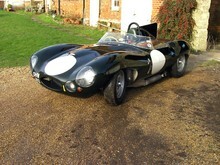 To date, 53 of these cars have been built along with five C-types and several Lightweight E-types for racing purposes. Over the years, Lynx have also converted Jaguar XJSs into open top spiders and also shooting brakes in the form of the Lynx Eventer. Today, their busy workshops also carry out performance upgrades to cars from the likes of Aston Martin and Ferrari – a real blend of old and new.